A US coffee company has developed a roast which boasts 200 per cent more caffeine than the average cup of coffee for drinkers who need a strong cup to get them going. An average tall cup at Starbucks contains 160 mg of caffeine, according to their website, which would mean that a 12 oz. cup of Death Wish Coffee would hold 520 mg of caffeine. According to mayoclinic.com caffeine consumption of more than 500 mg a day counts as heavy consumption and can have a variety of side effects ranging from restlessness and insomnia to fast heartbeat and muscle tremors. The "Extreme coffee" retails at $19.99 (£13.20) and has received overall positive reviews from customers; with recommendations on its website claiming "I've died and gone to heaven" and others on Amazon stating "Great taste with a nice kick". 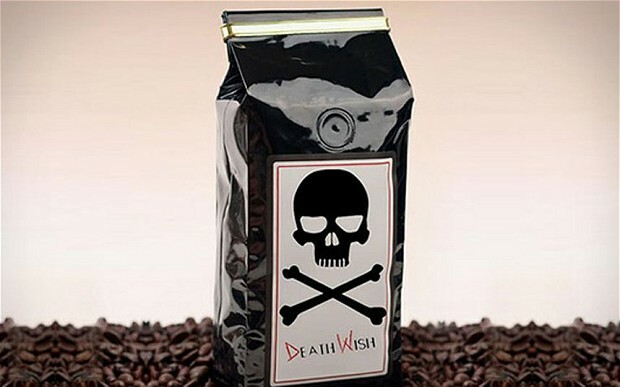 Death Wish Coffee say that they have created the 'strongest' coffee by roasting Arabica beans for longer so they become darker which results in 'more caffeine being drawn out'. The company is so confident with its product, that it offers a full money back guarantee if the customer is not fully satisfied with the beverage.